ESP Guitars Epic Deals - Andertons Music Co. Treat yourself to some eye-watering savings on ESP guitars - while stocks last! ESP are known for making some of the most proficient and versatile guitars on the market, particularly when it comes to rock & metal styles. 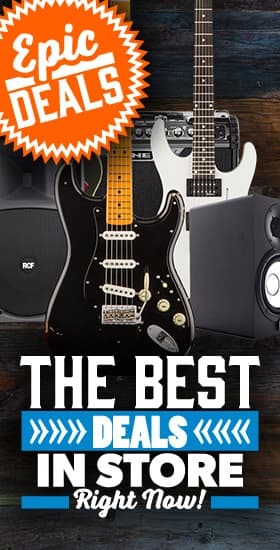 Whether you're looking for an EMG-loaded metal machine or a vintage-inspired classic rock axe, you'll find something that suits your style. Plus check out their LTD range; more affordable versions of their most popular instruments, combining killer specs with sensible price tags. If you've got any questions about our ESP range, please get in touch - in the mean time, check out our savings below!